Manufacturing companies cannot focus only on tradition manufacturing modes if they want to ensure profitability and competitiveness. Business process reengineering (BPR) is helpful for manufacturing companies who hope to benefit from new approaches to business. Manufacturers are confronted by two problems: defining what technology is important to the manufacturing company for reconstructing their processes and improving their mode and how to improve their management method to maximizing the benefit of the new mode. 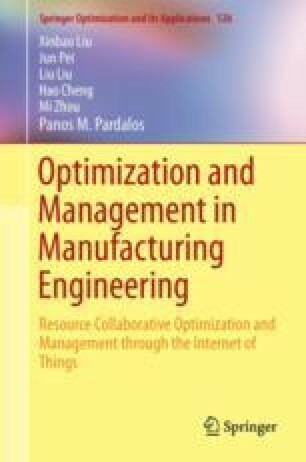 In this chapter, we highlight a new manufacturing mode, hybrid manufacturing, and propose a coordination management model that takes into consideration inventory and transportation as part of the comprehensive goal. We emphasize the innovational role of the IoT in these areas.